Note: Seven Day Class Cancellation Policy Unless otherwise specified. Easy curved piecing, without pins! Learn how to use the Clammy ruler and make a Glam Clam quilt. 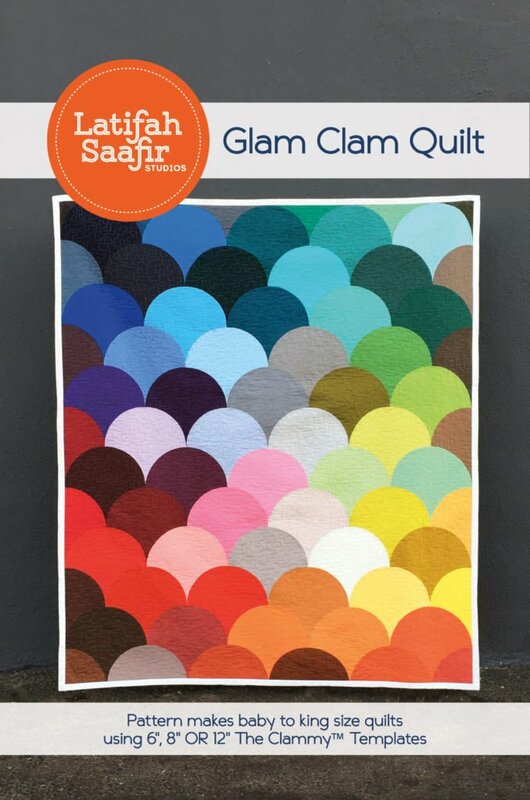 We'll be using the 12" Clammy ruler and making the baby size (48x60") quilt in the Glam Clam pattern. Both items are available at Gossypium. Some cutting and layout planning will need to be done before class to make the most of class time and accomplish learning the later stages of this quilt top. Complete supply list and pre-class homework are available here.